BBE Reads is a school wide reading program for our students and families. 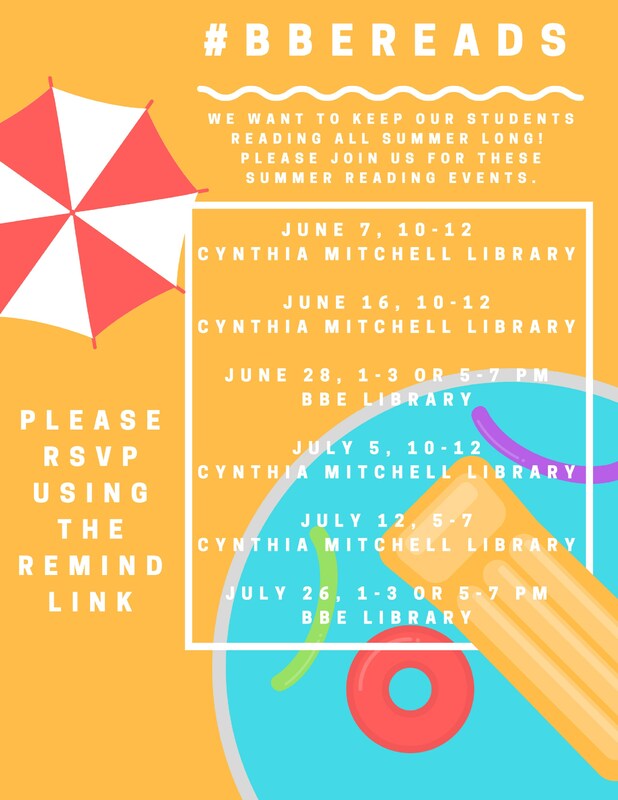 We will kick off this summer by opening our library and providing opportunities for our school community to connect during the summer months. We will continue BBE Reads throughout the school year with several evening events focused on literacy.